Internet Safety Tips for Everyone. As the Internet becomes an increasingly integral part of daily life, questions about privacy and security on the Internet are on the rise. Keeping your personal information, private data and finances safe can be difficult, but by following a few tips, you can avoid the vast majority of scams, spyware and privacy breaches. You have probably heard of someone’s computer being hacked, his or her identity being stolen online, or even having some embarrassing pictures posted online. Know the scams" Read articles and blogs, follow the news, and share this so you can learn about different kinds of scams and what you can do to avoid them and also help your friends. Think before you click" Never click on links in messages from people you don’t know or vaguely know. These phishing emails have links that lead to websites that can lure you into giving personal information or download malware to your computer. You should even be wary with emails from people you do know if it looks or sounds suspicious. Hackers can create a malicious email that looks like it came from your best friend’s email account. Safely peruse" Beware of phony websites. These sites may have an address that’s very similar to a legitimate site, but the page can have misspellings, bad grammar or low resolution images. However, scammers are getting better at replicating sites so make sure. If a site asks for personal information, that you double check the URL and make sure it’s not asking for information it shouldn't. Shop safely" Don’t shop on a site unless it has the “https” and a padlock icon to the left or right of the URL. Also, protect yourself and use a credit card instead of a debit card while shopping online—a credit card company is more likely to reimburse you for fraudulent charges. Protect your info" Keep your guard up. Back up all of your data on your computer, smartphone and tablet in the event of loss, theft or a crash. Also, routinely check your various financial statements for questionable activity. Secure Wi-Fi connectivity" Protect your network by changing your router’s default settings and making sure you have the connection password-protected. For more information on how to protect your Wi-Fi connection, click here. Install a firewall" A firewall is a great line of defense against cyber-attacks. Although most operating systems come with a firewall, you might want to consider installing McAfee LiveSafe™ service which has a much better firewall than the one that comes built into your operating system. 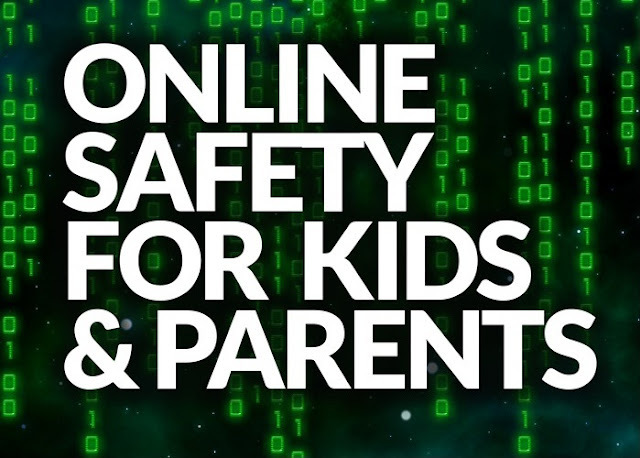 "More Tips to Stay Safe Online"
Keep Your Online Identity Secret"
Don’t tell anyone your real name and address or what neighborhood you live in. Here’s the general rule: Don’t give out any information that a predator could possibly use to find you. The Federal Trade Commission says that even “small clues” like what school you attend or the name of your athletic team is enough for a predator to figure out your identity. You wouldn’t tell some 40-year-old man or woman you met at the mall your name and where you live, would you? So why would you tell CoolGuy985 or HotChick16 from the chat room? The Online Security agency gives an all-out blanket warning: “Never meet anyone in person that you meet online.” That said, many teens do make good friends online. You just have to be super-cautious and make sure other people you know and trust also know this “new” online person. Even if your parents don’t know much about the Internet, tell them what types of web sites you go to. They will probably be interested and impressed with your Internet skills. They may also help you avoid potential problems if a web site or new "friend" looks sketchy. ||ੴ||ਇੱਕ ਓਅੰਕਾਰ Satnam Shri Waheguru Ji A Web Blog about Product Review, Blogging Tips, Tech Reviews: Internet Safety Tips for Everyone.